Modern meetings are full of delays. How many times have you sat in a conference room waiting for a WebEx or similar “meet me” session to start while the meeting organizer struggles to make things work correctly? Who among us hasn’t experienced the frustration of delays, bad sound, general technical difficulties, and/or an inexperienced meeting organizer who can’t make the technology work? If that scenario sounds familiar, take heart. You're not alone. According to a productivity article at the Office report, poor quality video and sound, coupled with user inexperience, is one of the biggest drains on an organization’s productivity—with an average of "25 percent of meetings delayed due to technical and/or user issues.” Multiply the average delay by the salaries and/or hourly rates of attendees and it’s clear why the enterprise today is searching for a better solution for collaboration across locations. 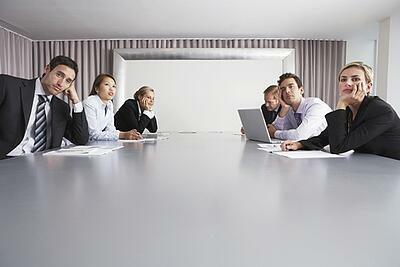 The ideal meeting room technology is a single, one-touch, unified solution. However, for most typical businesses, that ideal is simply a dream that has made its way to the bottom of the priority list. Most conference rooms today include a plethora of patched-together technologies, including USB speaker phones, conference phones, flat panel displays, laptops or desktops running various meeting applications, cords, cables and more cables. Some technologies are compatible; others are not. As a result, precious resources are wasted on an hourly basis, day in and day out, around the world, trying to get the technology to work as it should. Crestron developed the Mercury specifically to address the common and persistent technical problems found in a typical meeting room user experience. 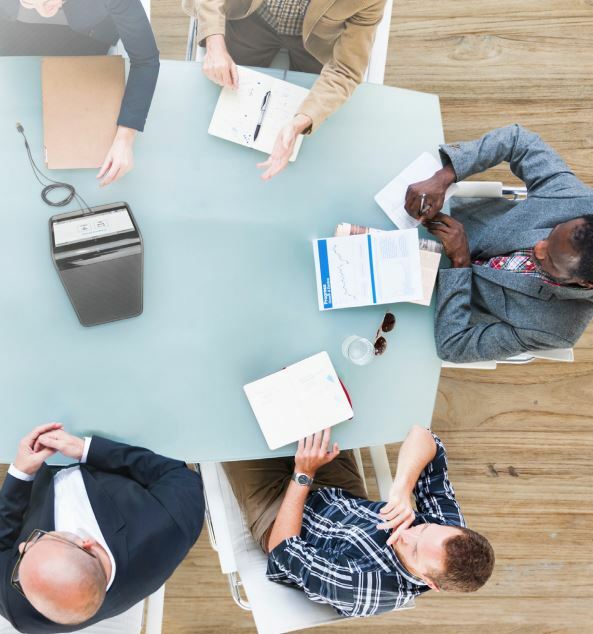 Crestron’s Mercury, in fact, is the only UC and AV all-in-one tabletop solution that supports any web collaboration application. By combining all the must-have conferencing and collaboration tools in one easy-to-use console, Mercury enables people to work together, regardless of location or conferencing application. More good news: It works. No more frustrating and time-wasting technical issues. Priced to meet tight huddle room budgets, powerful enough to be used in a medium to large conference rooms, and securely connected to the network for enterprise provisioning and management, Crestron Mercury is easy to deploy, easy to use, and easy to manage in every space across an enterprise of any size. What I also like about this technology: The Mercury has a built-in Crestron AirMedia® gateway that enables secure, wireless presentation on the room display from a laptop, smartphone, or tablet; or you can connect directly via HDMI. Need to make a call? No problem. The Crestron Mercury has precision engineered speakers and microphones inside that provide a crisp clear sound on the other end of the line. You can use the Bluetooth audio to pair with mobile phones, or the built-in full open SIP conference phone to make calls. You can use any soft phone, video conference, or UC service, such as Skype for Business, Cisco WebEx, Slack, etc. to collaborate right from your laptop by simply connecting to Crestron Mercury. Overall, we recommend the Crestron Mercury as an ideal solution for a space designed for anywhere from two to 15 people. Its real value, however, is that you can integrate it with your scheduling infrastructure (Exchange, O365, Google), your VOIP system (any SIP server), and take full advantage of its video-sharing capabilities from any source such as VGA, HDMI, or wirelessly. What Does A Crestron System Cost? When video collaboration was first introduced, only a handful of companies had a product to offer. Fast forward to 2018 and we now have dozens if not hundreds of different video collaboration and conferencing solutions available. This is great news for companies of all sizes as competition has helped drastically drive down prices. However, many business owners still think that UC/AV solutions are expensive. They’re not, particularly when you factor in the hidden costs of lost productivity! Over the course of my career in telecommunications, I have seen firsthand the positive and negative effects that technology has had in this space. Enterprises were the first to benefit from technological advancements in UC and AV. Enterprises had the funds available to purchase the bright, shiny, new video collaboration systems, which in return made the company more effective and efficient, and further distanced them from small competition in their markets. However, advancements in technology have made UC and AV available to the masses. No longer just for enterprises, UC and AV solutions are being designed, implemented, and proactively managed for education, healthcare, government, retail, as well as small and medium business markets. As technology continues to introduce us to new ways of communicating, the lines between Telecommunications, Unified Communications, and AV will continue to blur. The good news is that the real beneficiary of these blurred lines is the organization that wants its meetings to start and end on time with no glitches. No longer a dream for “someday,” this technology is possible, and it’s here today. Because both Continuant and Crestron are Microsoft Partners, we not only offer competitive pricing but also best-in-class maintenance and managed services. If you use Microsoft to collaborate, or are interested in migrating to Microsoft, we give our customers the ability to migrate to Microsoft Teams over time without costly changes to hardware. Thanks to this unique approach, you can confidently purchase and install Crestron solutions today while recognizing the need to support migration in the future. One powerful Crestron solution for Microsoft, or for any UC OEM, is a solution that I like: the Crestron Mercury™ console.